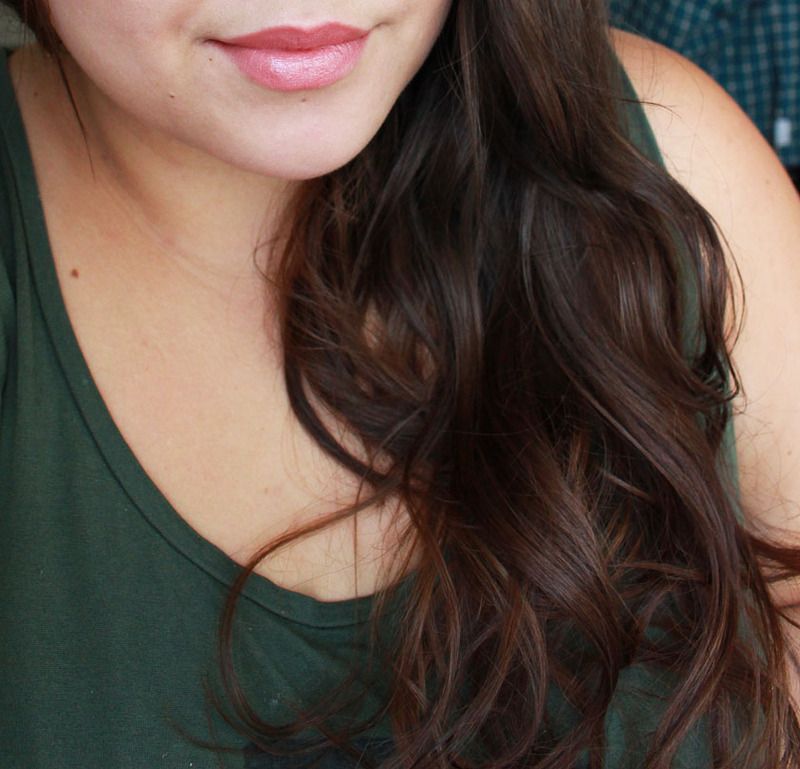 I don't style my hair too often, but I love the way my hair looks, when I use heated rollers. 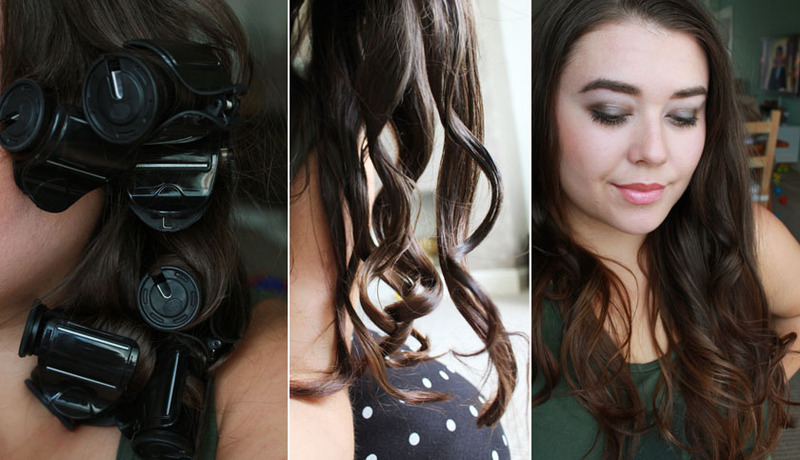 They add volume, create big glam curls and are super easy to use. 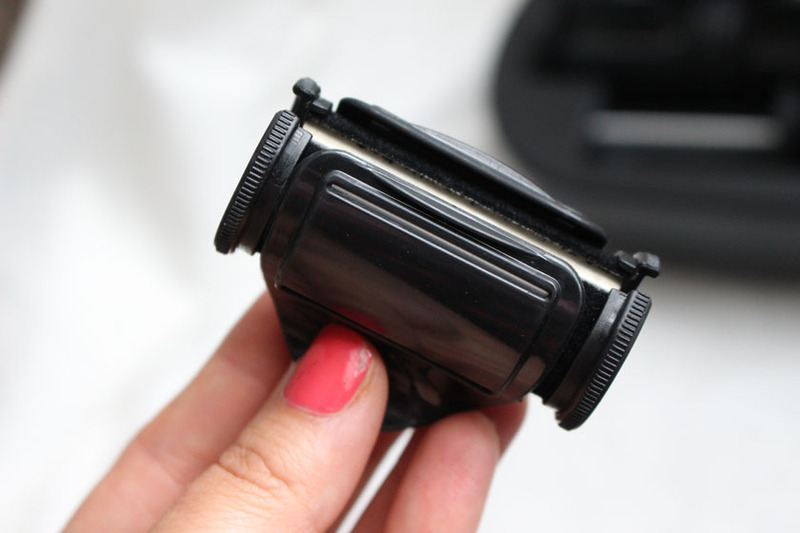 I own the Enrapture rollers already and I adore them, but I was excited to try an alternative. The box comes with 10 rollers (4 of the large size and 6 medium) in a special container that heats them up really quickly (1-2 minutes). 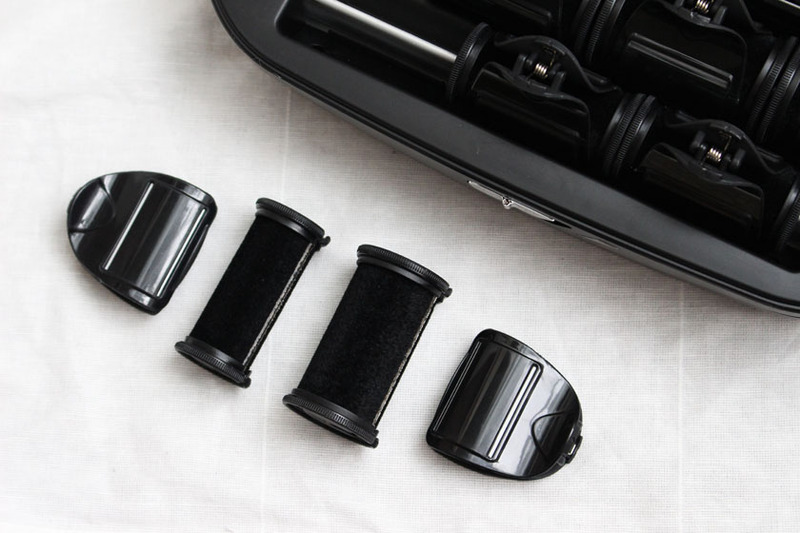 I was surprised that you only get 10 rollers and I think that people with thick hair might struggle a bit and will definitely need the pack of 4 additional large rollers (or more). I used all 14 on my fine hair. It's all about sectioning your hair correctly to get the best results. 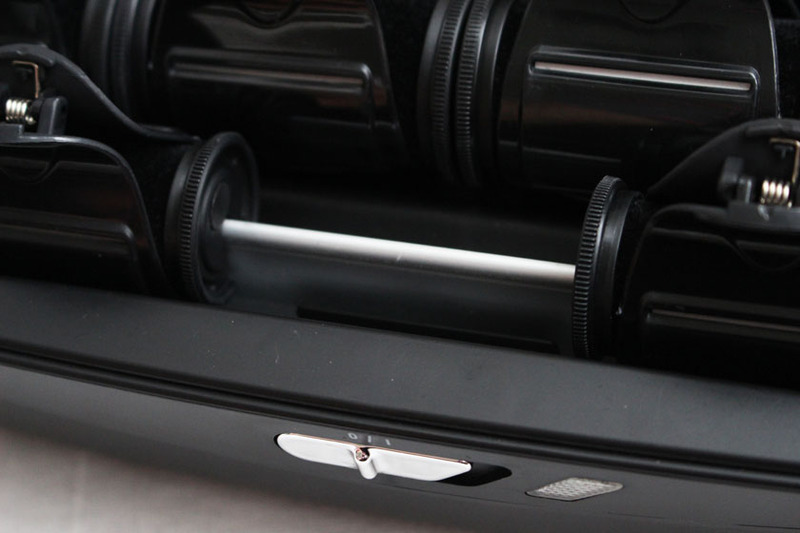 The rollers feature dual heat technology, which means that the heat is transferred from the inside of the rollers as well as from the metal plates on the butterfly clips. You can either use the rollers on the full length of your hair for curls and volume, or on the mid-lengths of your hair if you aren't too bothered about adding volume. I like using the large size (38mm) on the top section of my hair and the smaller ones (25mm) on the sides. You can watch a tutorial showing you how to use the rollers here. You will probably notice that the model used more than 10 rollers on her hair, possibly 20+. Another reason why I am confused why you only get 10 rollers. Although... it means that the packaging is much smaller than my Enrapture set and I can take the Toni & Guy rollers on holiday! My hair doesn't hold curl or volume unless I use a lot of product before and after styling, so I applied Toni & Guy Volume Plumping Whip* to the roots before blow drying my hair and Toni & Guy Glamour Firm Hold Spray after using the rollers, to make the curls last longer. It is also a good idea to spray and smooth each section of your hair prior to using the rollers - it makes a big difference to the way the curls turn out. Another tip worth mentioning is to make sure the hair is wrapped around the roller as neatly as possible, with no hair sticking out on the sides. I noticed that when I am in a hurry and I am not being careful and precise, the rollers tend to slide off or don't feel secure. I also had some of the clips sliding off completely when I used a section of hair that was too big as well. You will master it after one use though, so don't worry :) It's easy, once you know what works for you. You can see the difference between the two types of curls you can create with the rollers on the photo above. 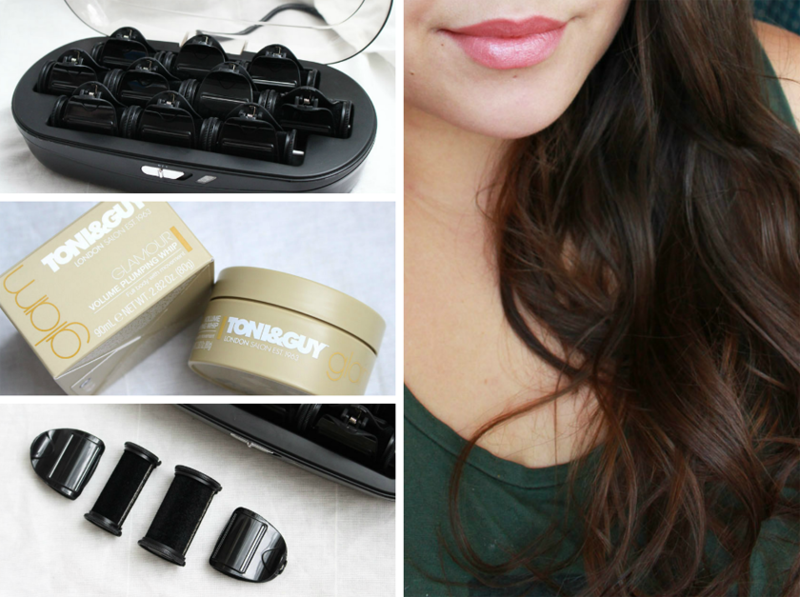 You can achieve tighter curls with the smaller size and big waves with the larger rollers. Both gorgeous! I simply run my fingers through the hair after removing the rollers for a more relaxed feel, add some hair spray and I am done. 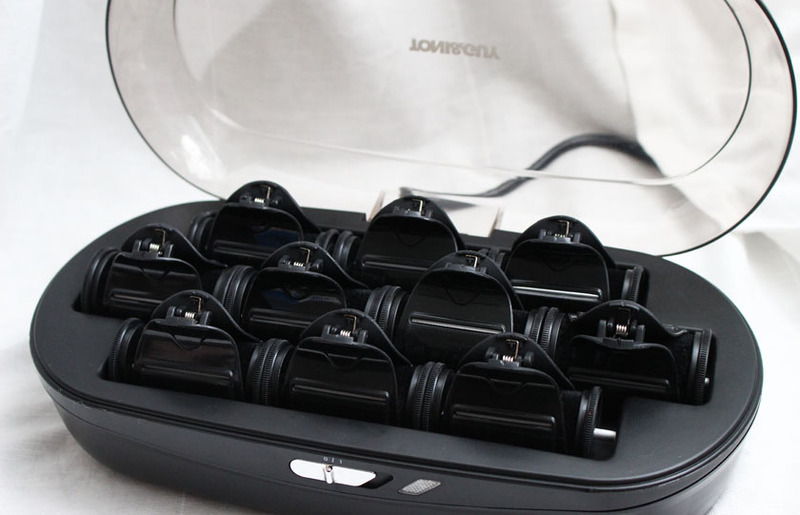 Overall, I like the Toni & Guy Rollers, but I wish there was 15 instead of 10 in the box. It would be a perfect number. If you like volume and glamorous curls or big waves, you will love these. 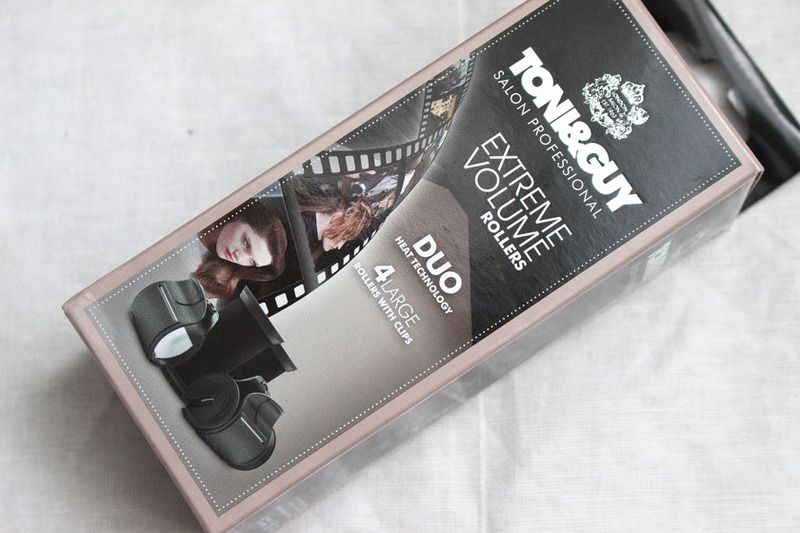 Toni & Guy Extreme Volume Rollers are currently available from Very, but Boots and Argos will be stocking them soon as well.